But it’s way too demure for the occasion, don’t you think? I need something with a little more punch. I suggested to my friend that we make our own so we signed up for a class at The Make Lounge. The class was full of excited ladies who were all making it for one occasion or another. The four hours allotted for the class seemed like too much but I was wrong. I needed way more time. I went in thinking I would get a base for the fascinator and all the decorative items to stick on it. I was so wrong again! We had to make the base and hand sew each item that was going on there. For heavier decorative items, like flowers, those were glued. Very time consuming, very detailed oriented. All worth it. 24 May	This entry was published on 24/05/2011 at 8:00 AM. It’s filed under friends, life, London, Sewing and tagged craft, Fascinator, millinery, photos, sewing. Bookmark the permalink. Follow any comments here with the RSS feed for this post. Newer: Tea for a few? I can’t wait to see it on! Darling wedding pic as well. Me, too! I can’t wait to see it on and the dress that will go with it. 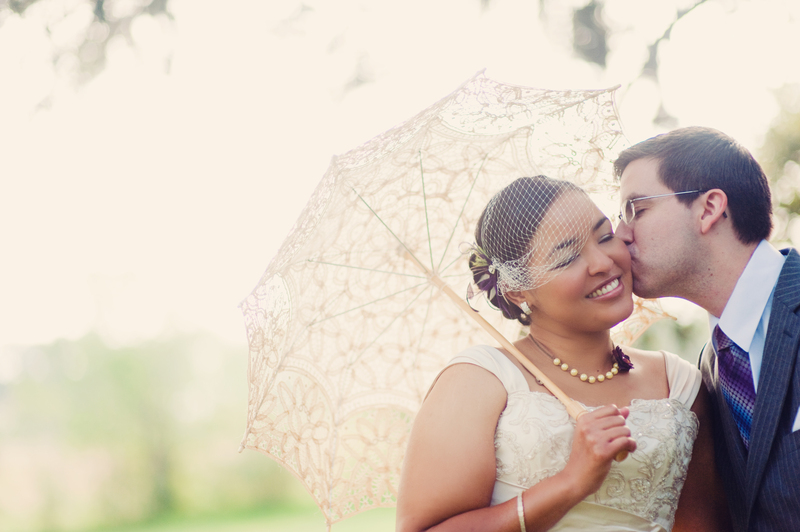 Your wedding pic is stunning! 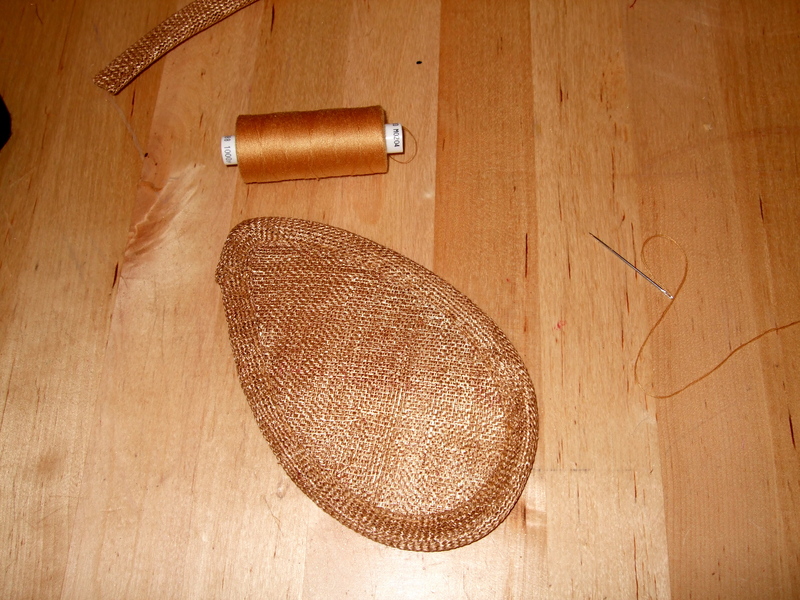 Love the new fascinator too- I’m impressed and really must check out the Make Lounge. Thank you for your comments! I hope you enjoyed the workshop though! Looking forward to seeing Pictures of you wearing it!! I LOVED it. Many thanks again. Cute. Cute. Cute!! 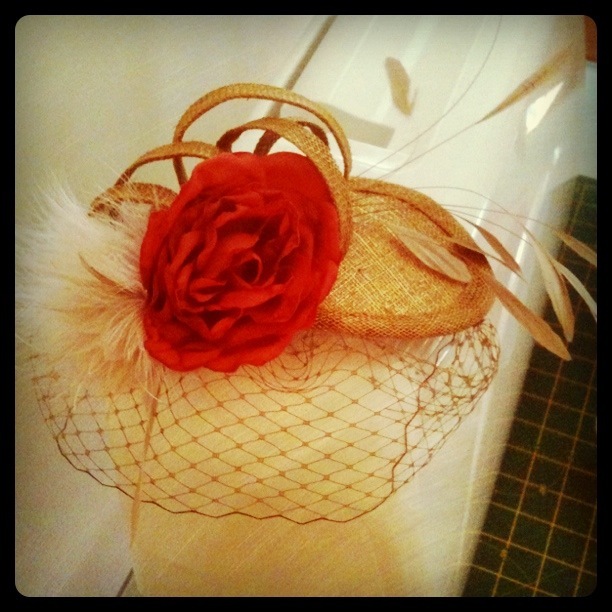 Betsy (of Besty Transatlantically) has a blog post about a fascinator as well. Which is where I first learned the term. I love how I learned it from the two American expats living in London 🙂 That’s so awesome. Thanks! And yes, I read Betsy’s post on them. How can anyone not love a bit of extra hair frill?